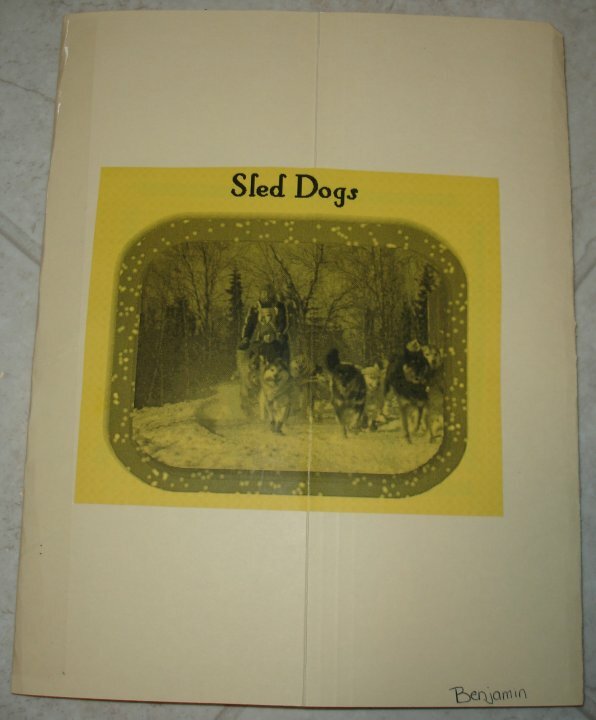 Our lapbook about sled dogs. 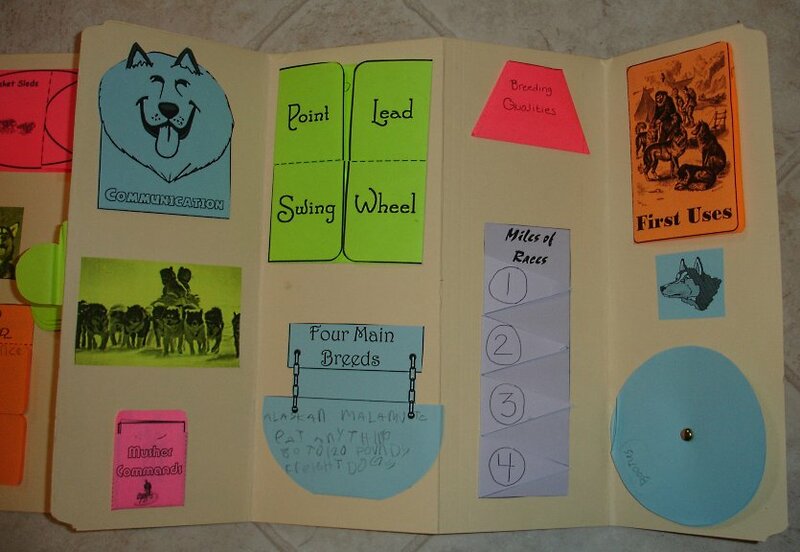 A great project for learning about the Iditarod or dogs in general. We created this lapbook using the Sled Dogs Project Pack from CurrClick. 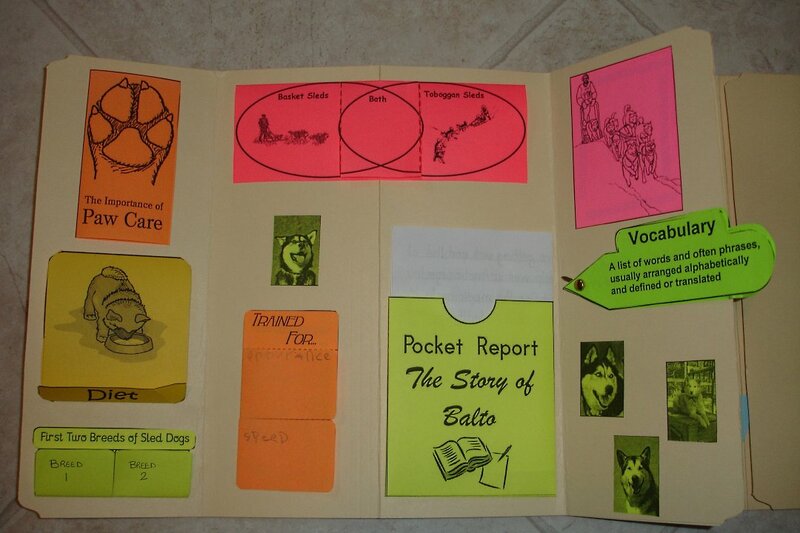 This particular lapbook is recommended for grades 3 - 8. The project pack is a downloadable file, so you can print out the mini-books in any color you like. This makes the lapbook a bit more colorful which my kids tend to like. You could also use plain white paper or have your child color them with crayons or colored pencils. This particular lapbook was rather large and took 2 folders. They are folded like a normal lapbook but the right flap and left flap of the 2 folders are attached, making a center flap. Hopefully, looking at the photos below will make that more clear. 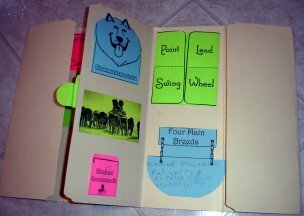 The file contains all the information you need to complete the mini-books, but if you want to make your own lapbook from scratch, the information would be readily available on the Internet. Just decide what aspects you'd like to cover and have fun with it! Click on the images below for larger views. I hope this gives you some ideas for your own lapbook. If you prefer, you can buy this lapbook kit from CurrClick. 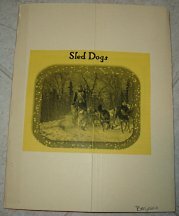 They also have a project pack for the Iditarod specifically. Also, see my Lapbooks for Everyone article for more ideas and lapbooking resources. Like this page? Share the love with the buttons below! Lapbooking, notebooking and more. Purchases can be downloaded immediately! Do your kids love Legos like my kids love Legos? Visit the Official Lego Store! Having trouble finding a book you need for school? Check Alibris!